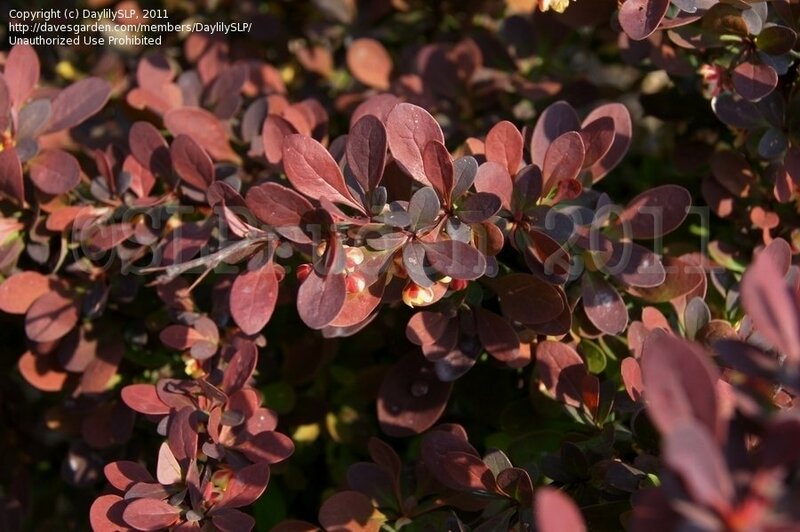 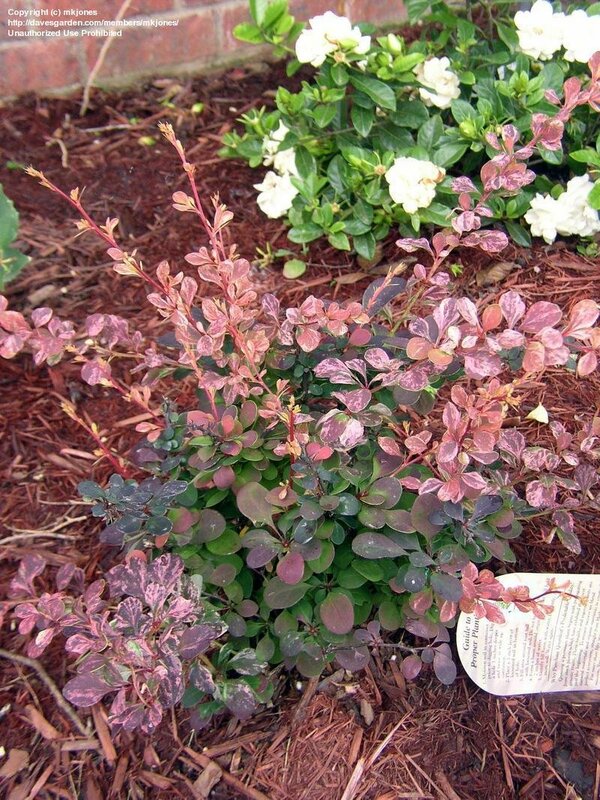 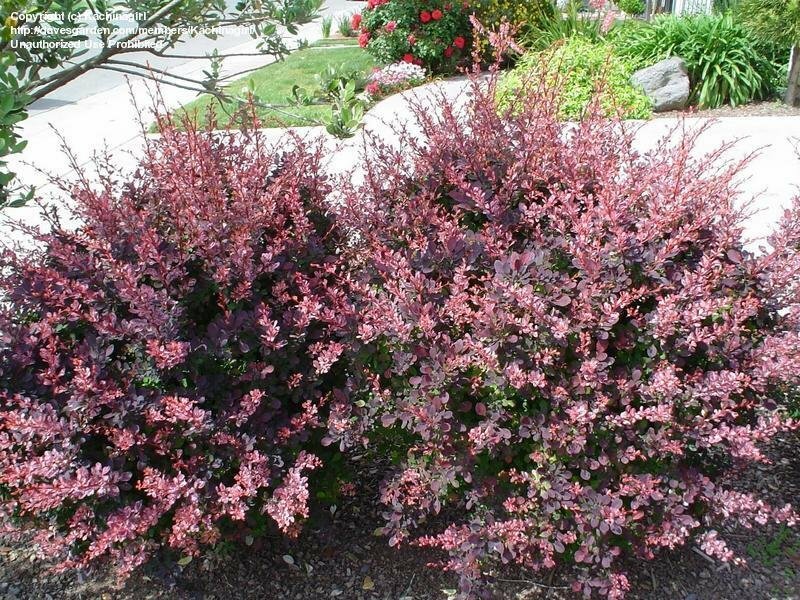 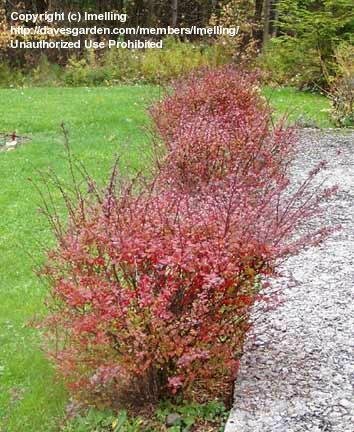 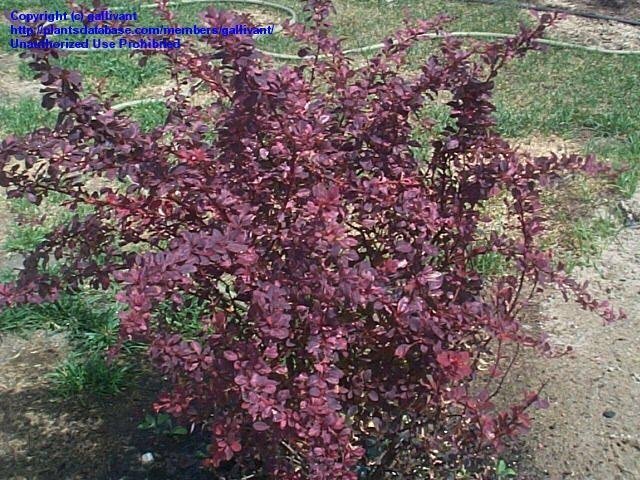 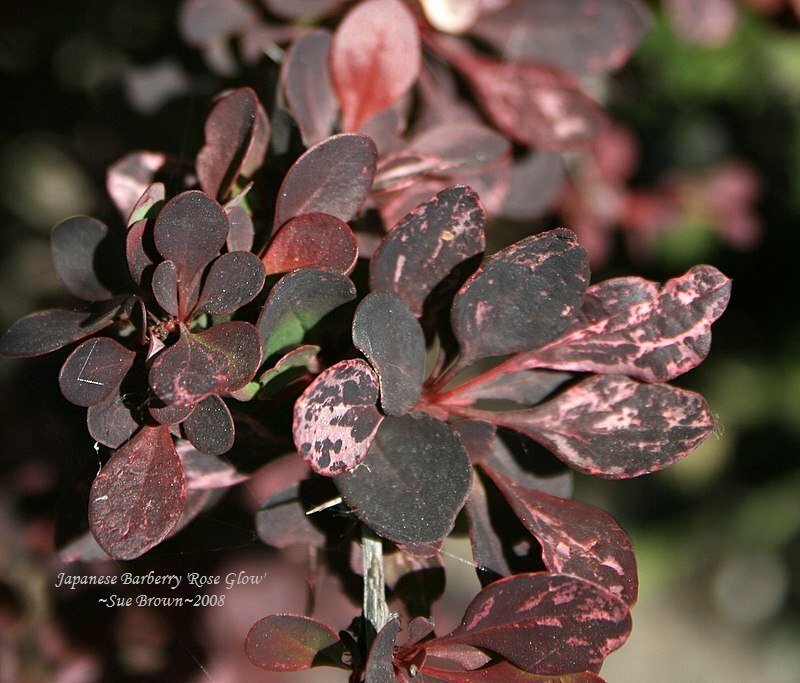 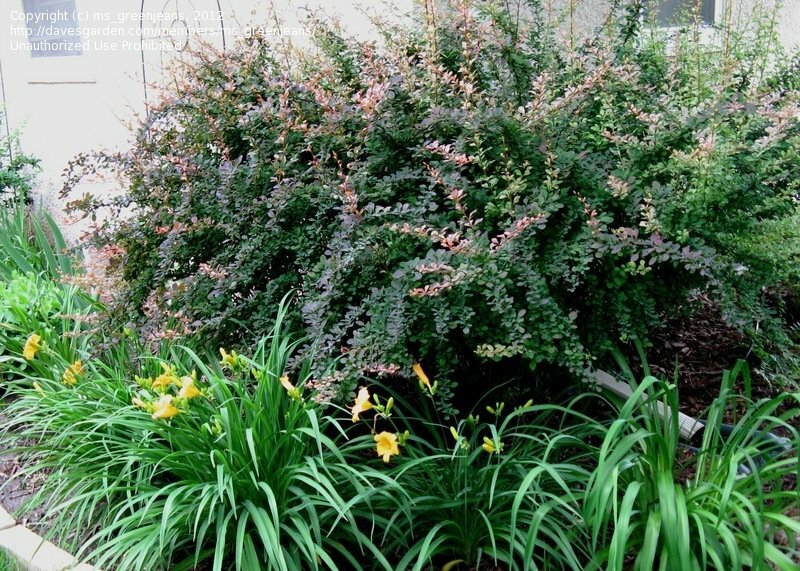 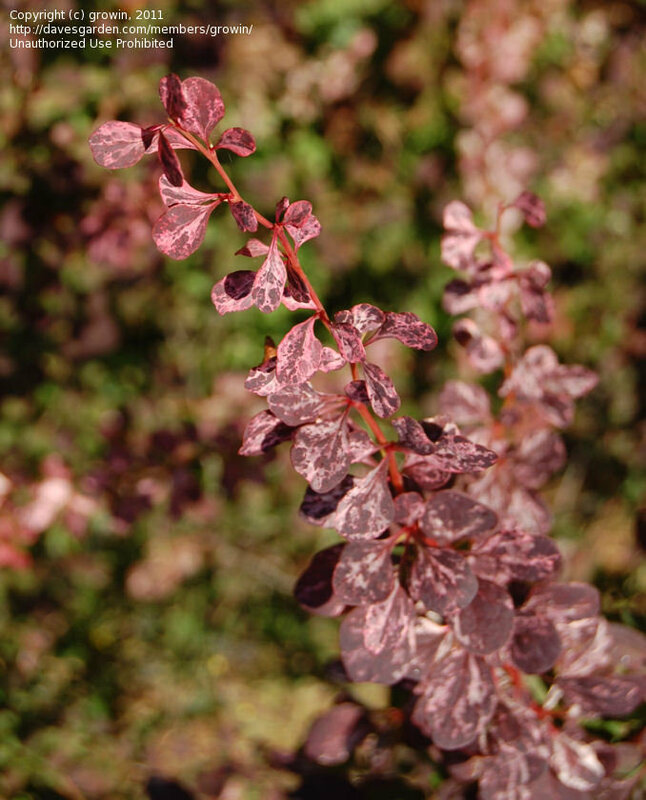 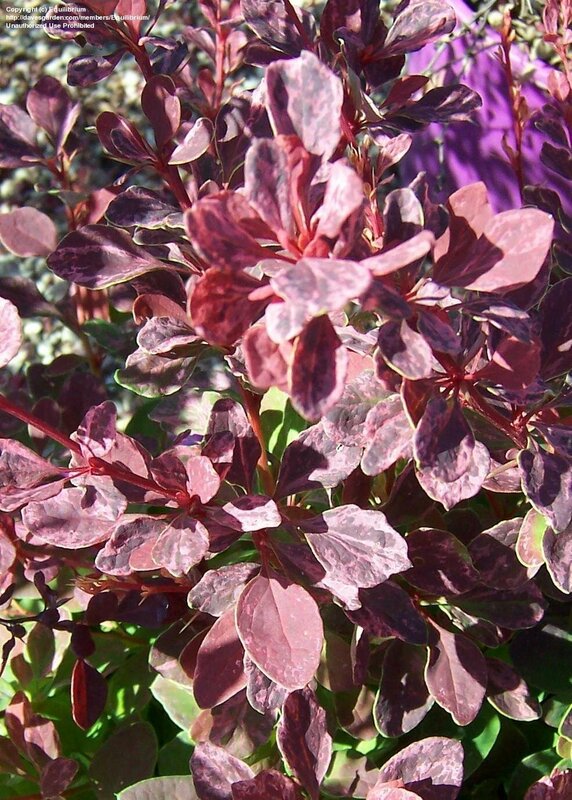 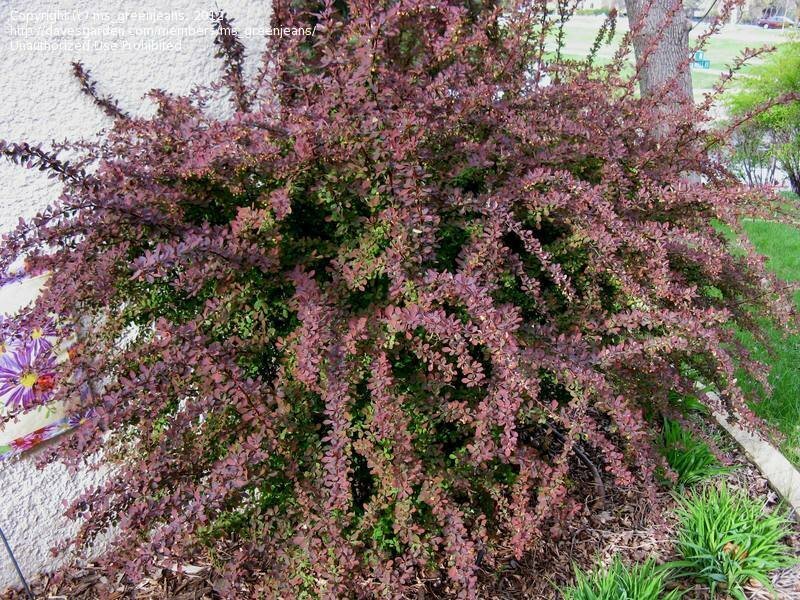 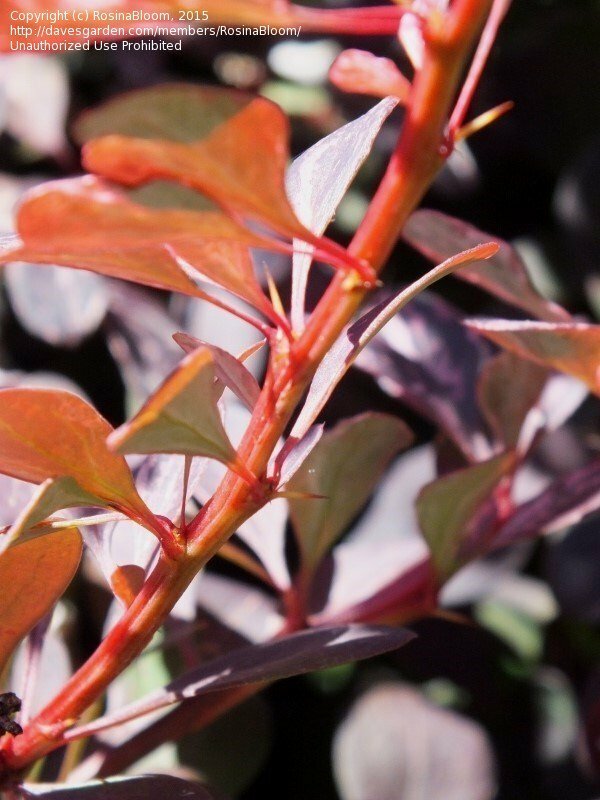 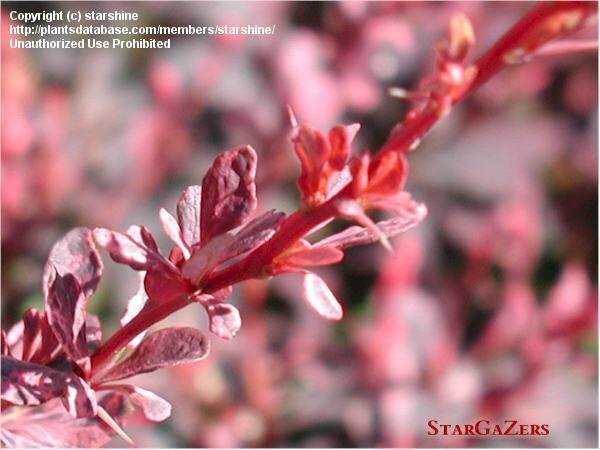 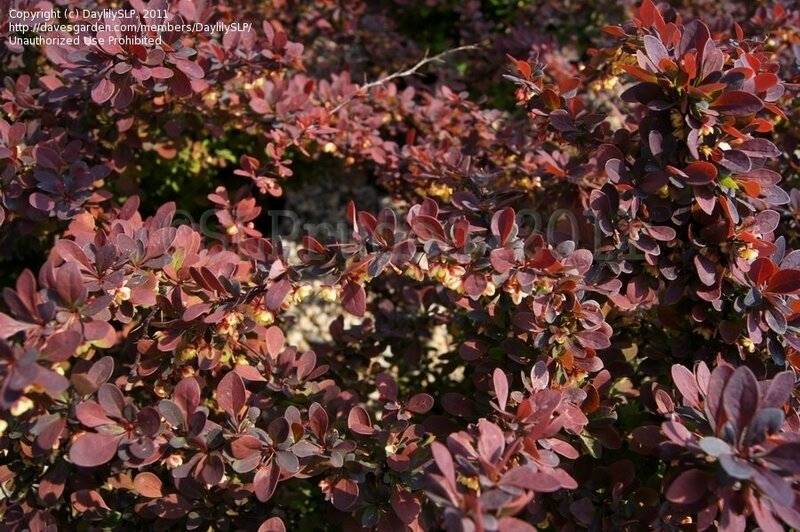 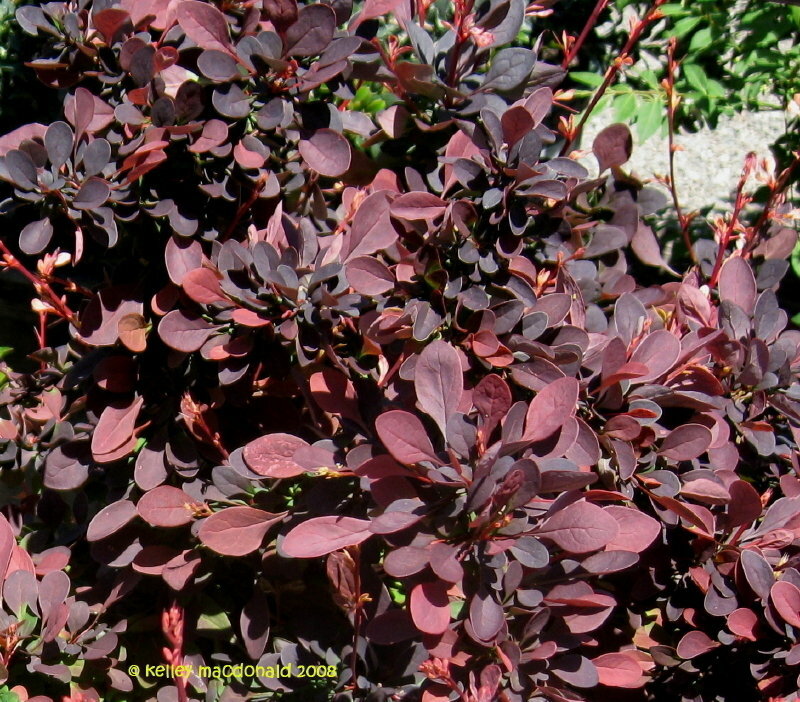 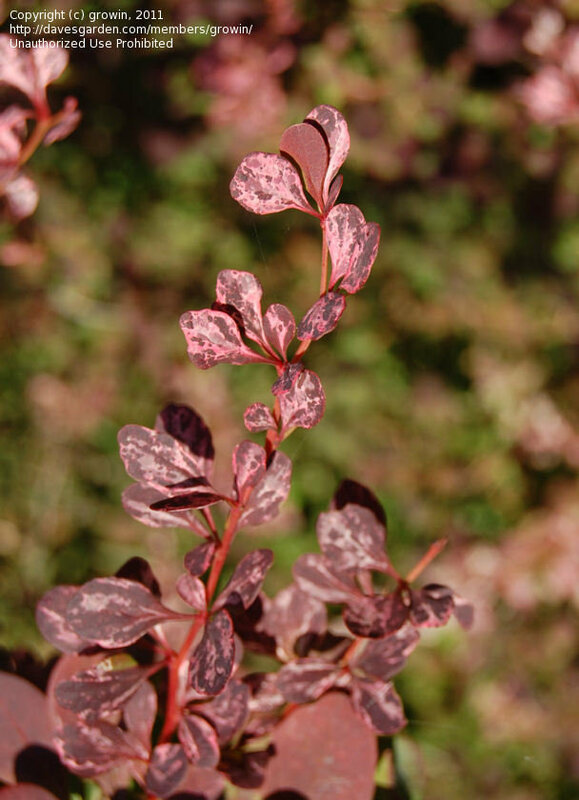 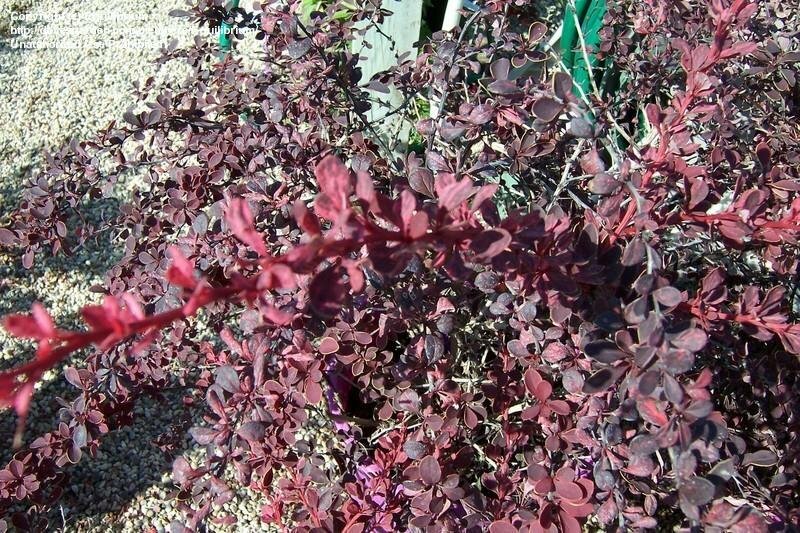 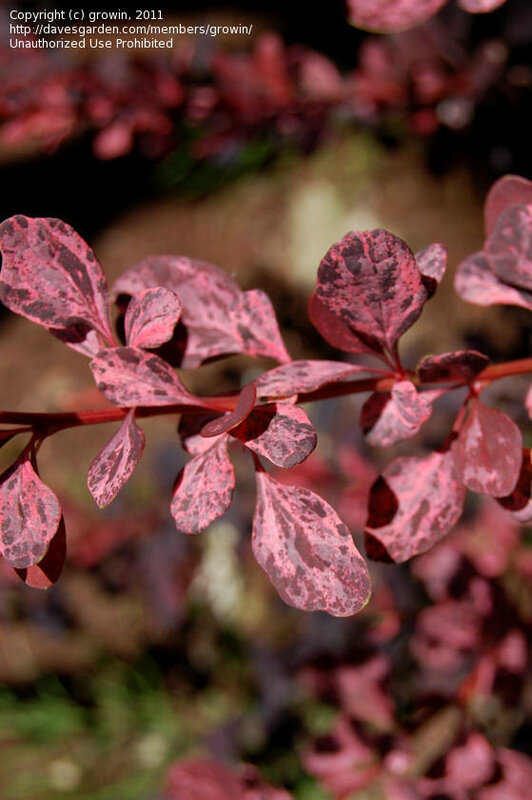 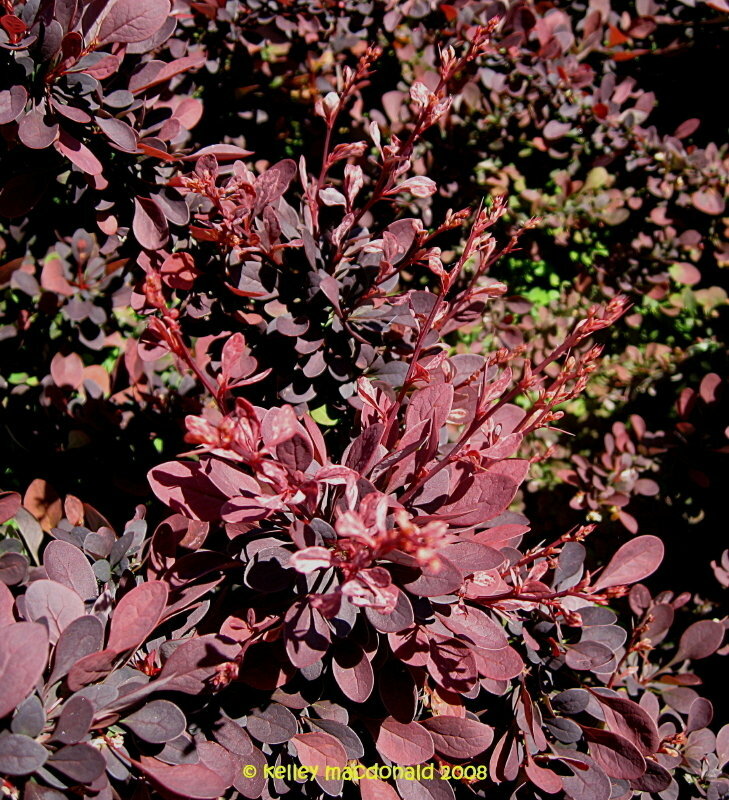 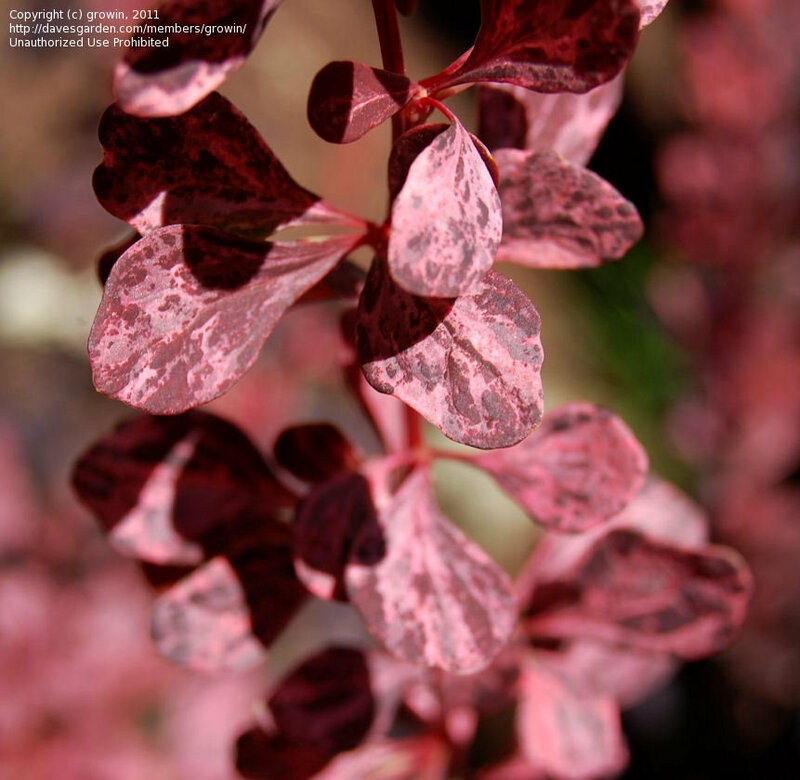 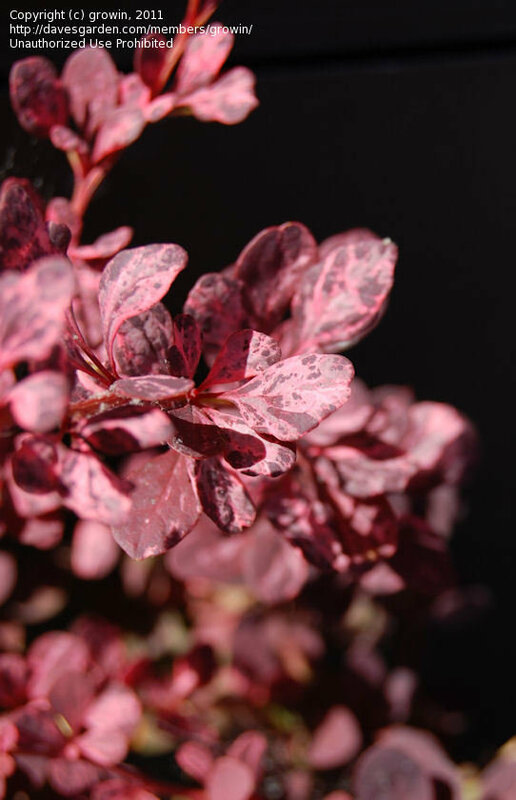 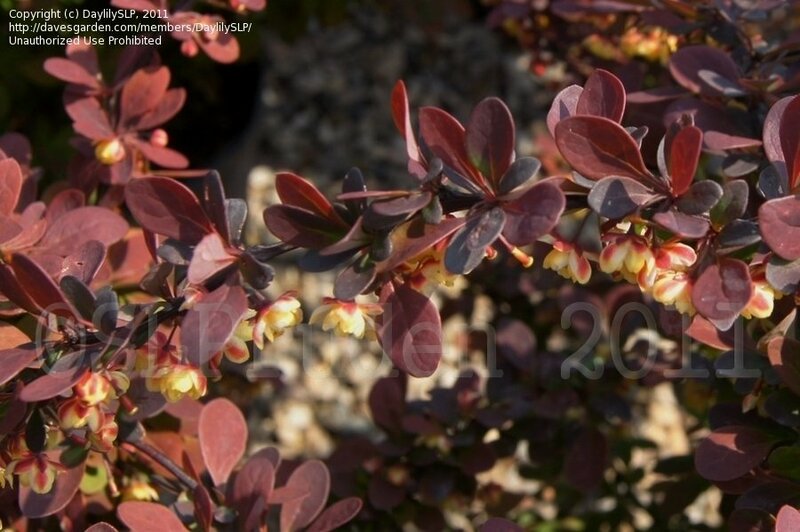 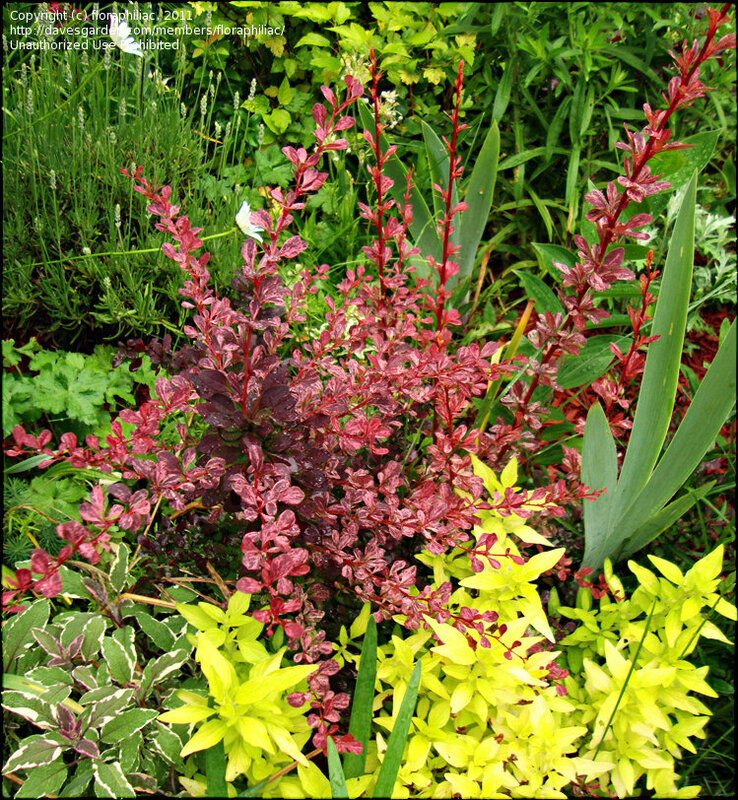 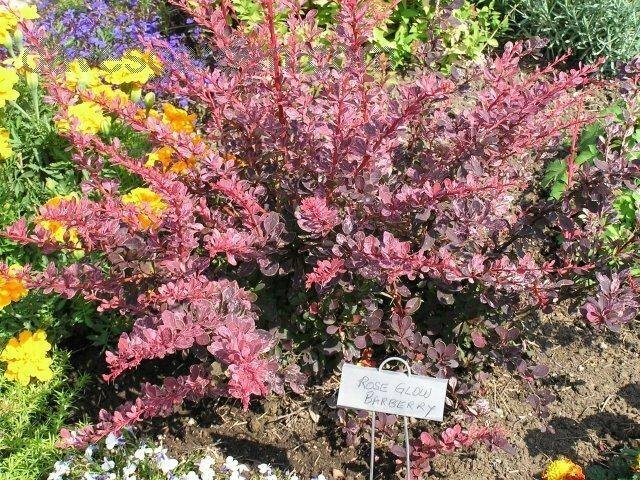 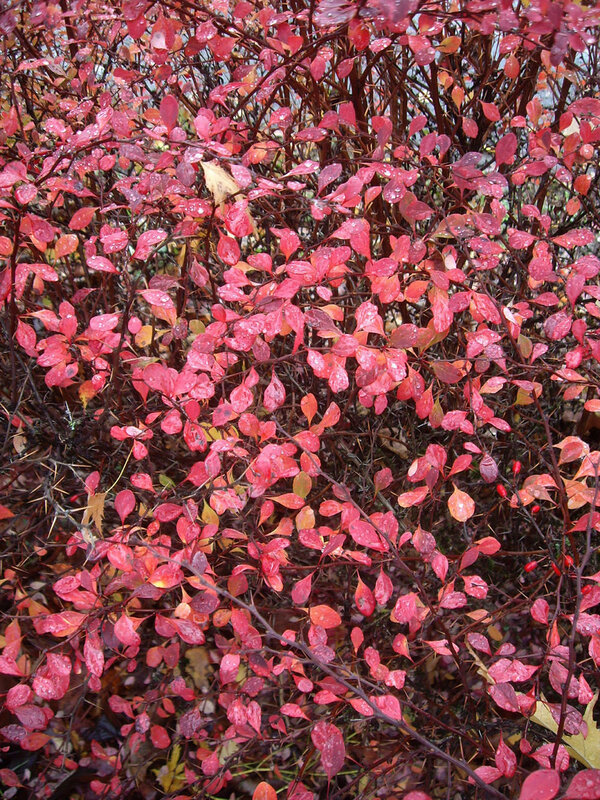 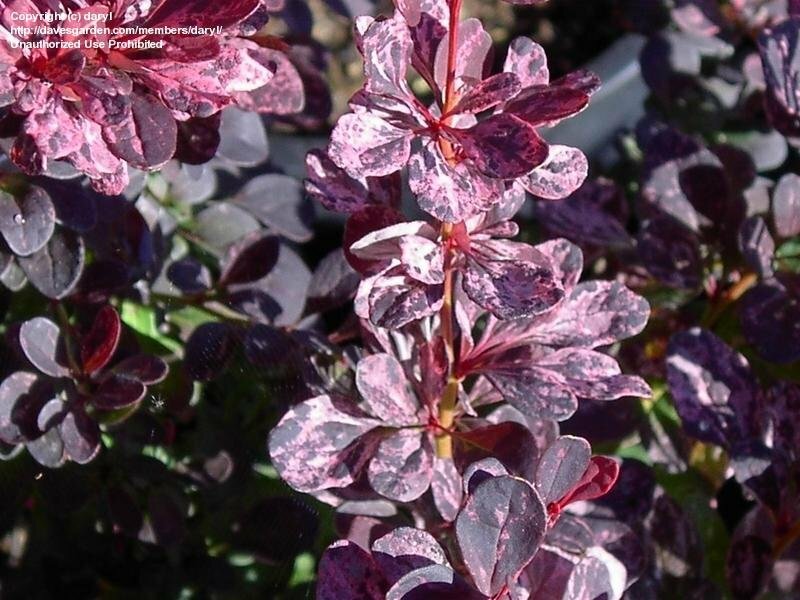 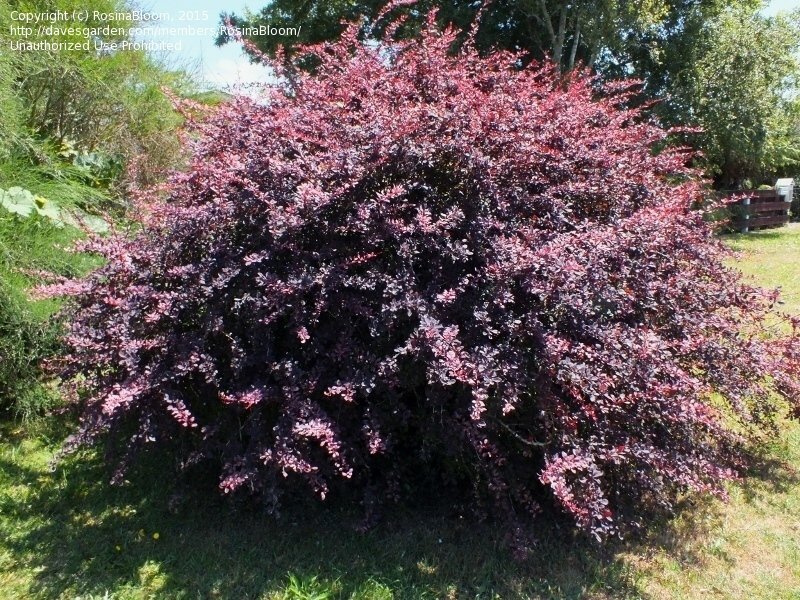 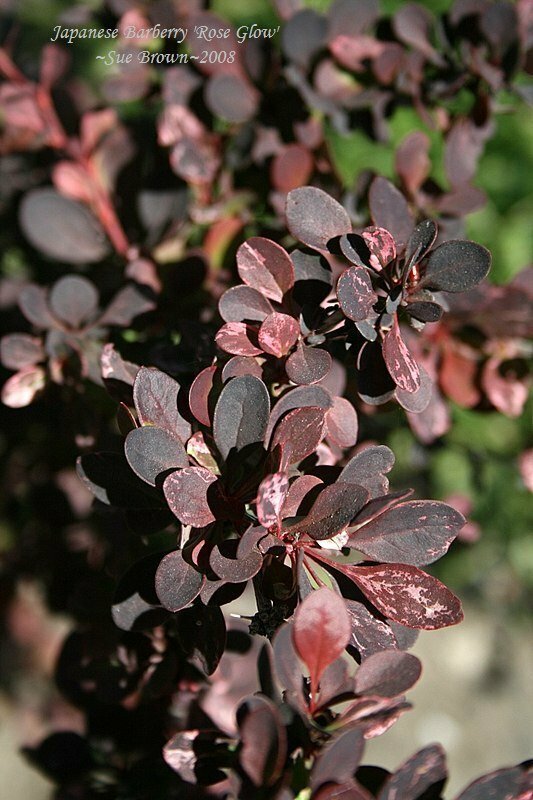 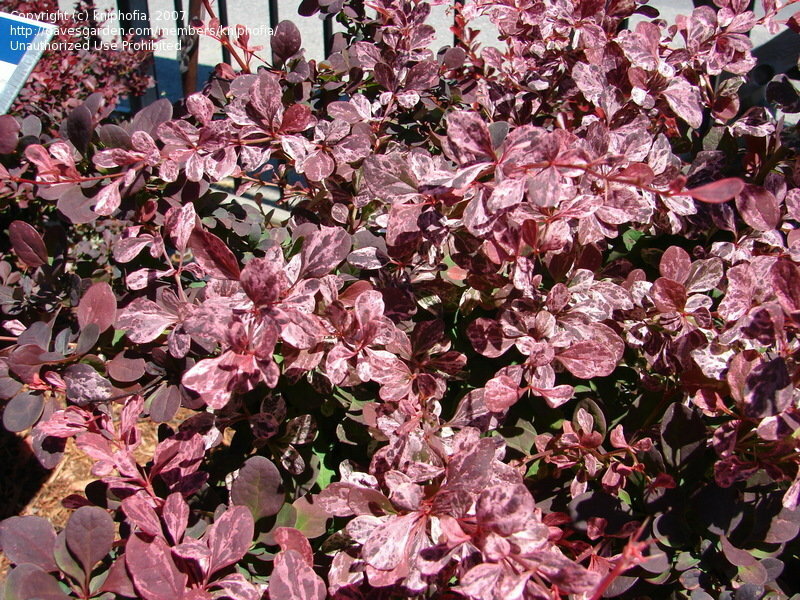 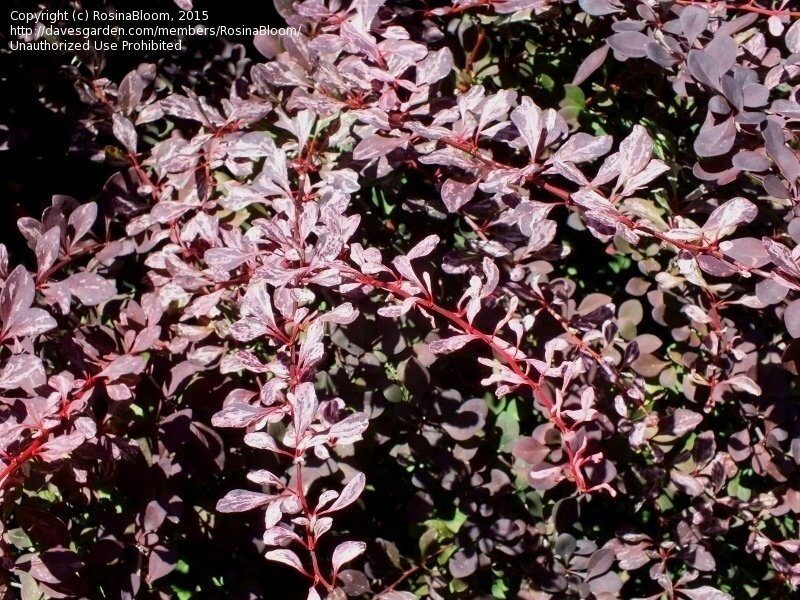 Barberry Rosy Glow has beautiful foliage, burgundy with splashes of pink. 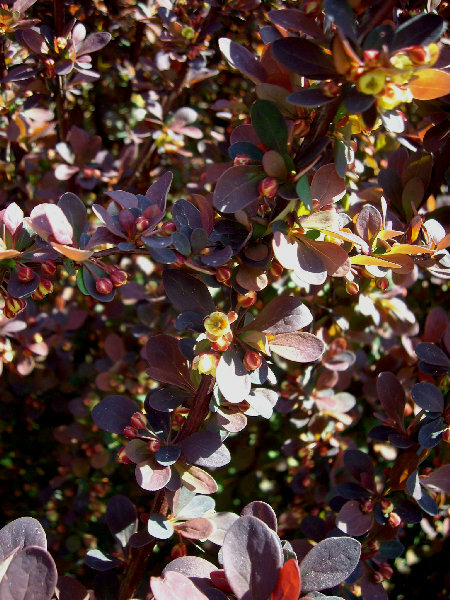 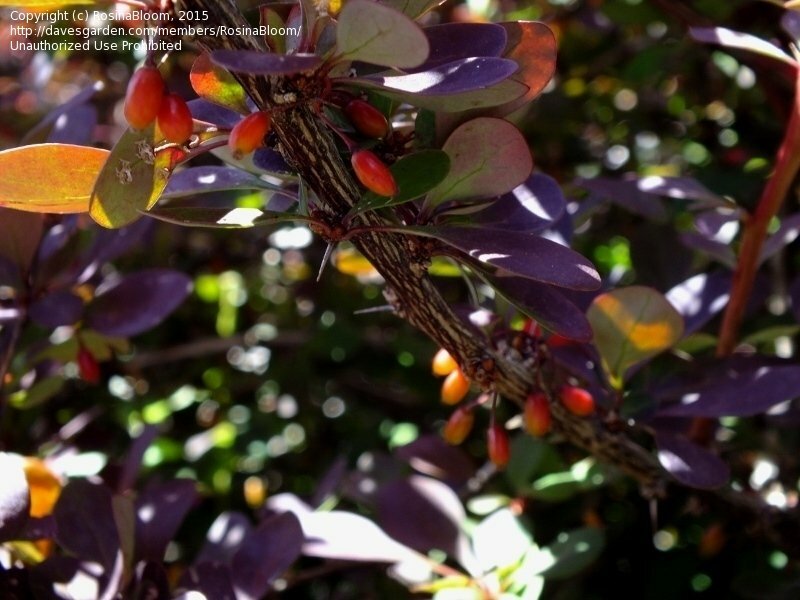 A close up of the tips of the barberry bush, in early morning light. 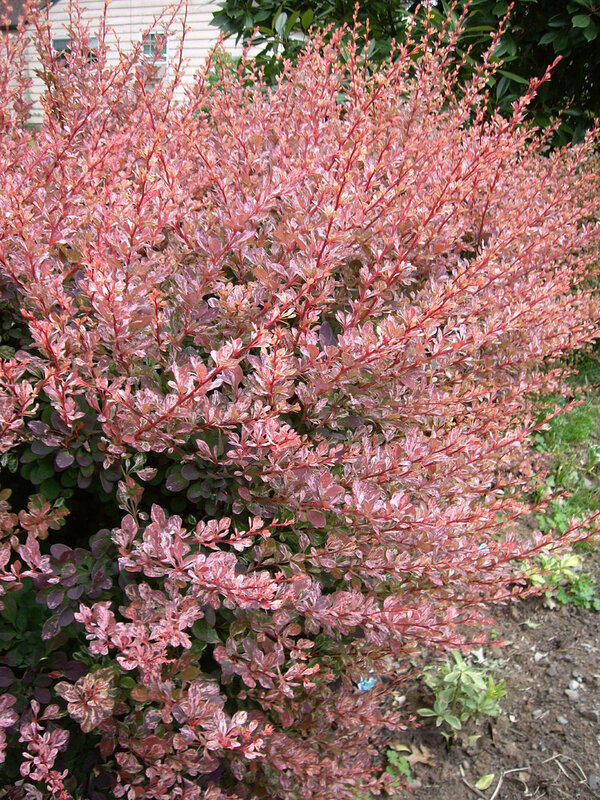 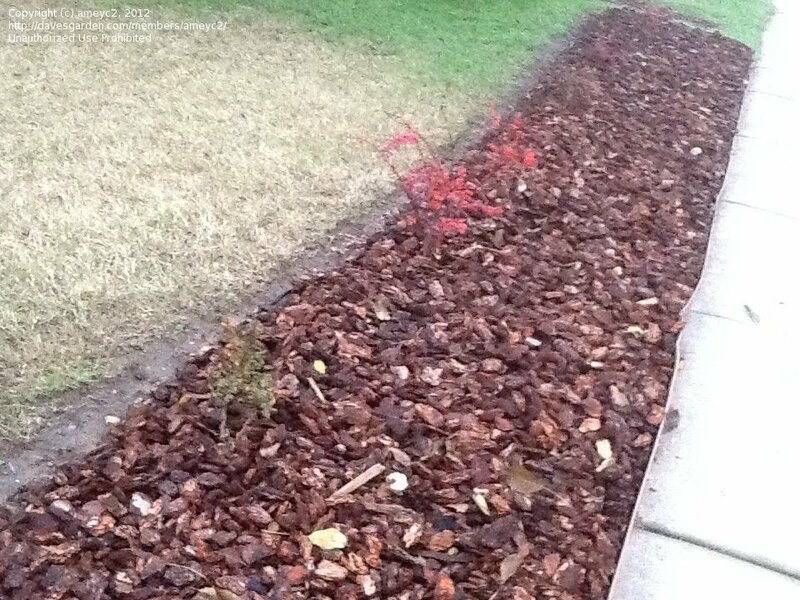 Rosy glow barberry in late October. 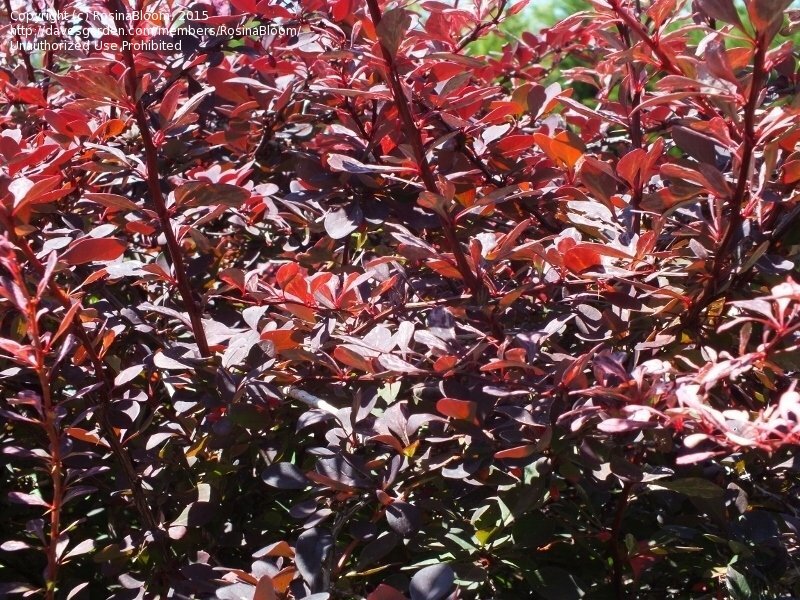 Beautiful year round! 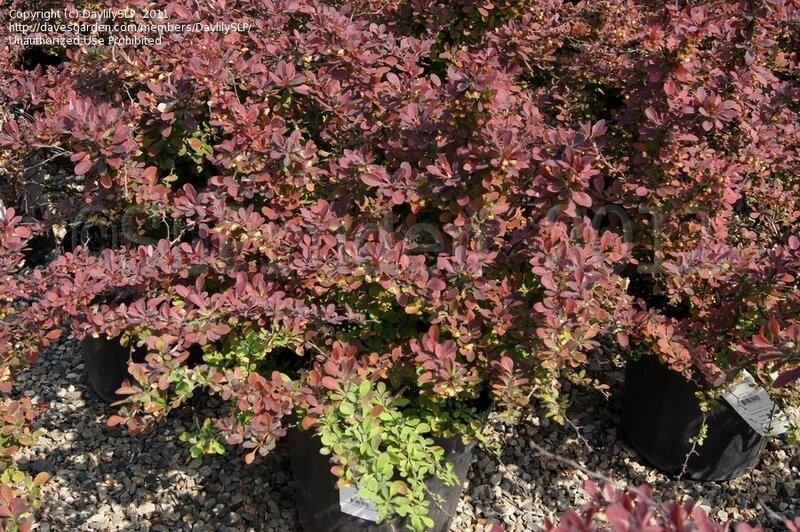 This wonderful Texas-hardy barberry is a beautiful cultivar. 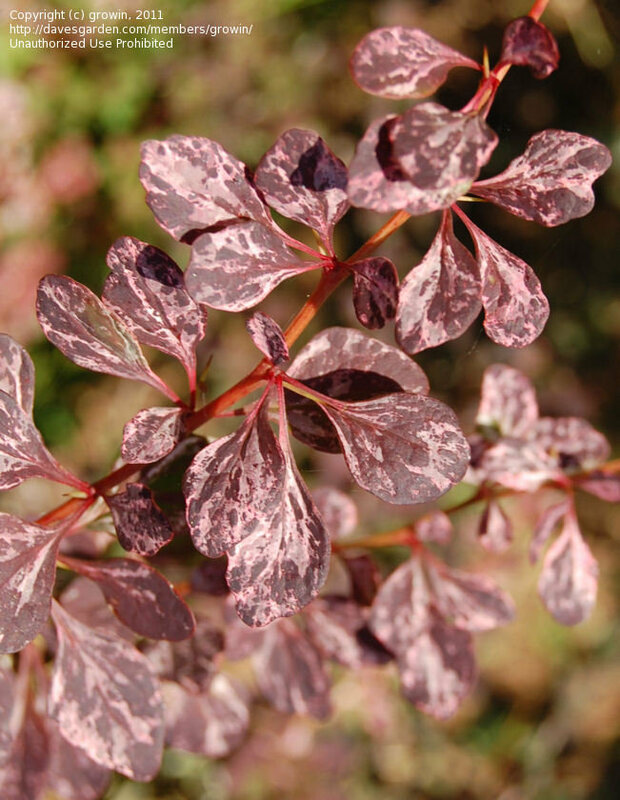 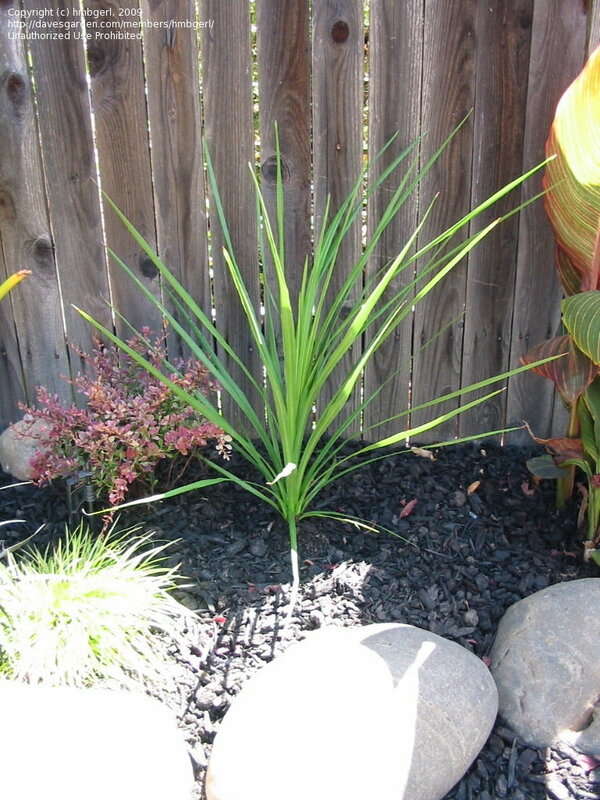 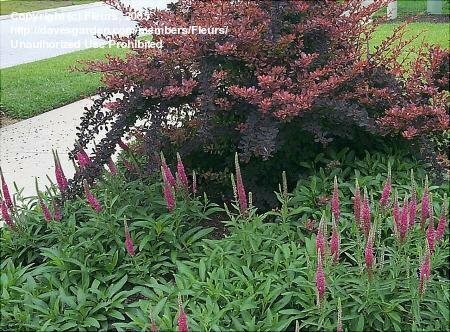 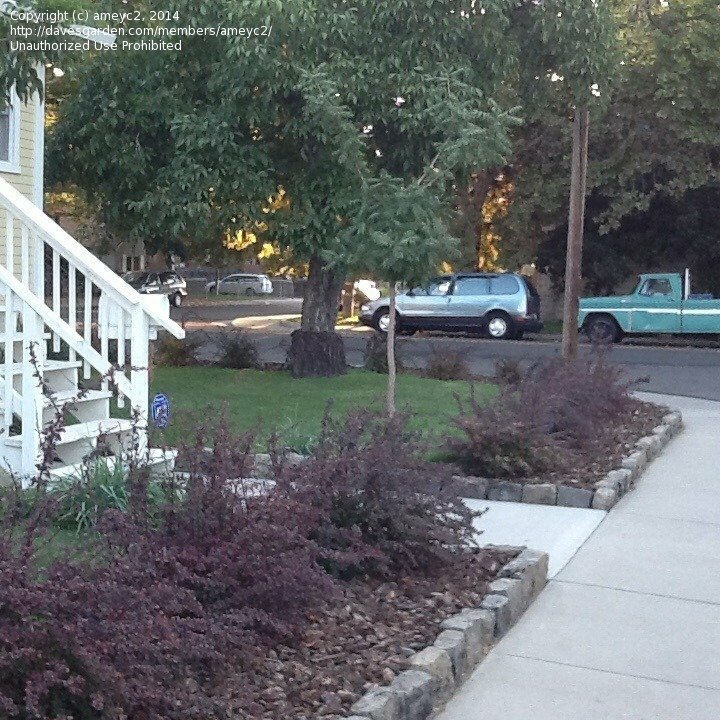 The variegation is stunning and the growth habit is very ornamental. 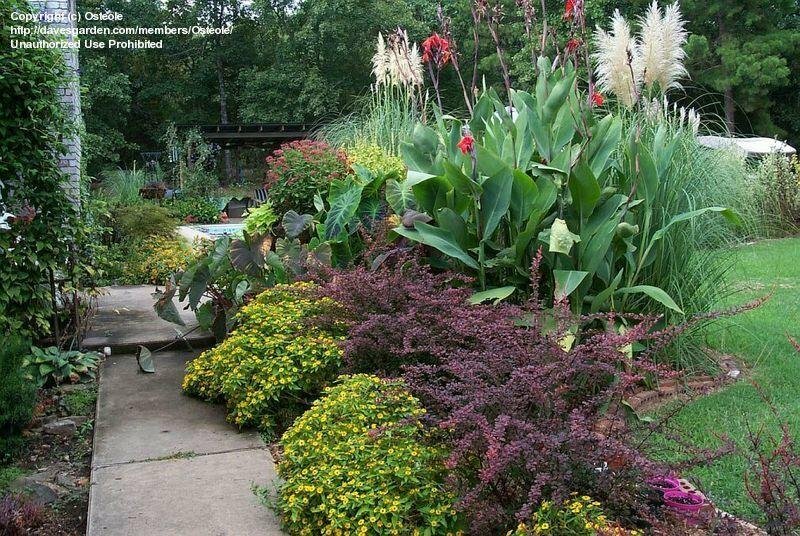 Shown here with gardenia "Veitchii" in the background. 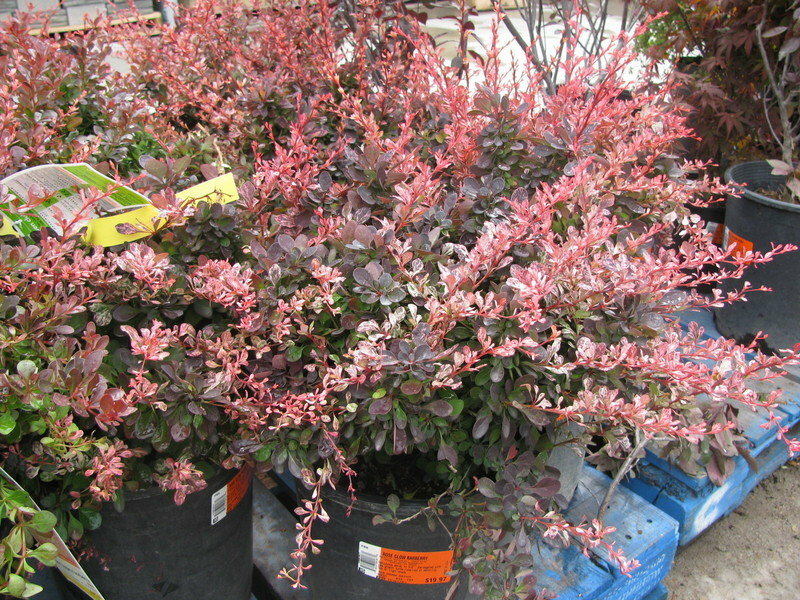 New to me this year, and already one of my favorite Bayberries.....lovely and compact - great for the smaller garden!! 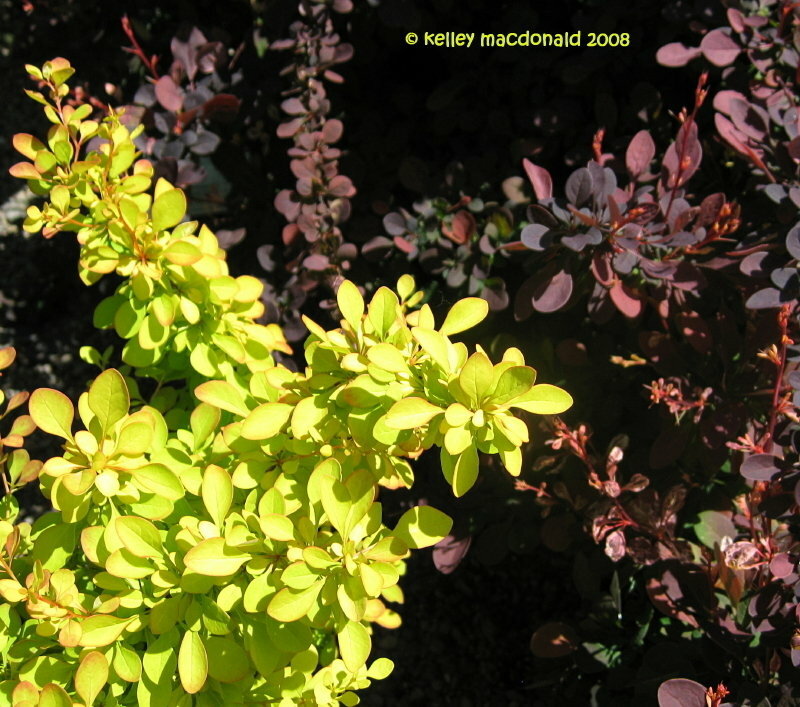 Contrasting with Berberis thunbergii Aurea. 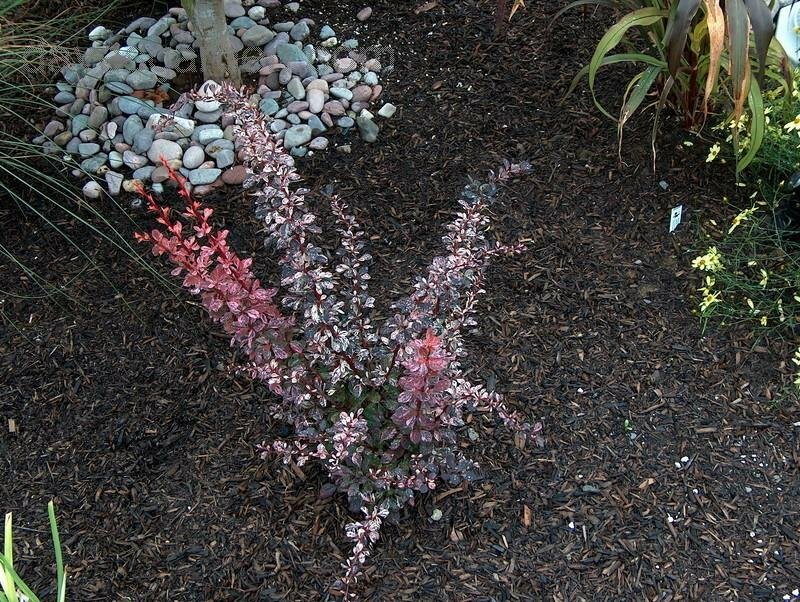 Young plant with golden oregano and tricolor sage, mid June. 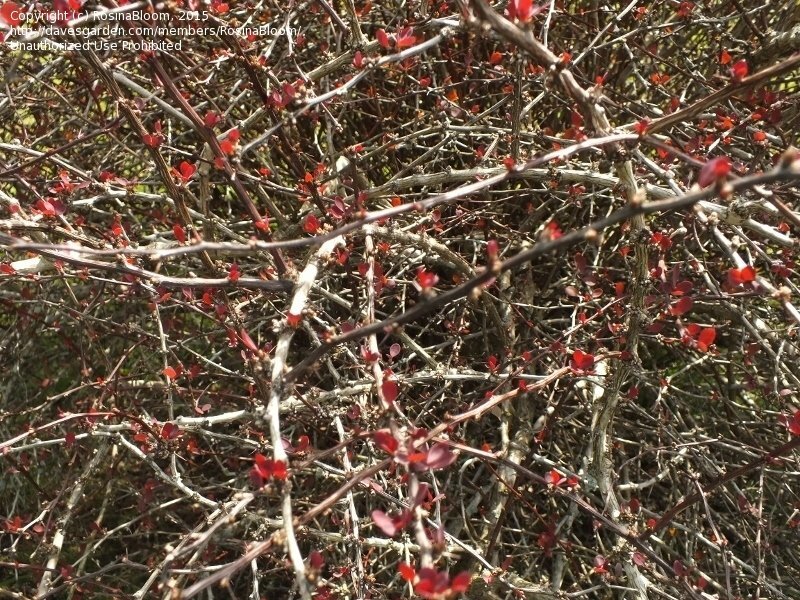 Portland Zone 8 April, flower buds on mature plant. 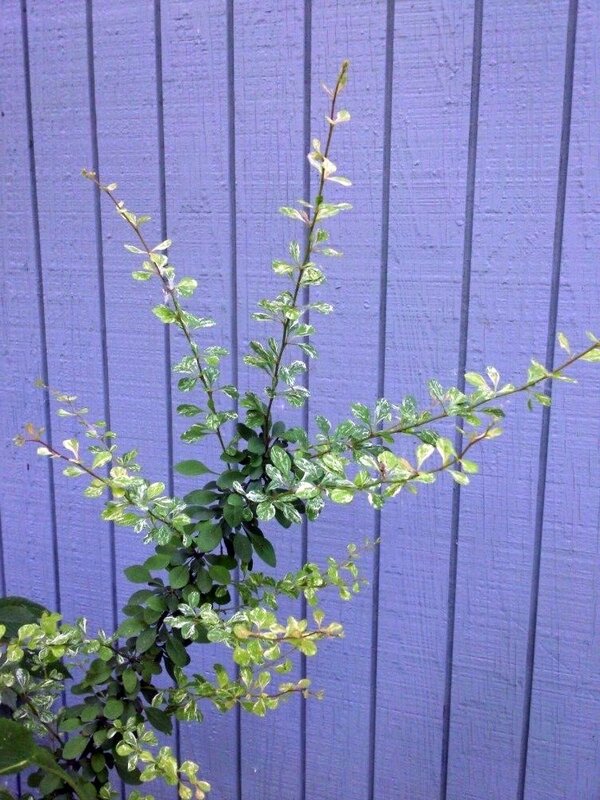 I posted a photo of a tiny hedge 2012 now 2014 coming along very nicely. 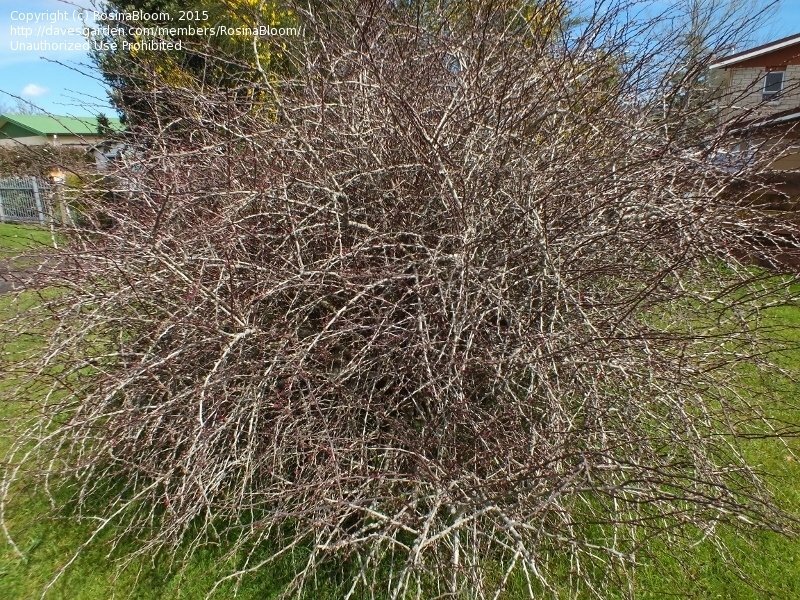 Have a bit of dead wood or leafless stems, is this common?